Morgan Stanley analyst Katy Huberty has predicted that Apple is set to break a new sales record for 2012. These sales predictions come in at 200 million iPhones expected to sell next year. Consumers are expected to buy more iPhones in the first quarter of 2012 than in the holiday quarter of this year. Now, let’s not forget about the iPad, who also has some great expectations for the new year. After looking at the chart above, Apple is expected to sell between 31 and 36 million iPhones during this final 2011 quarter. 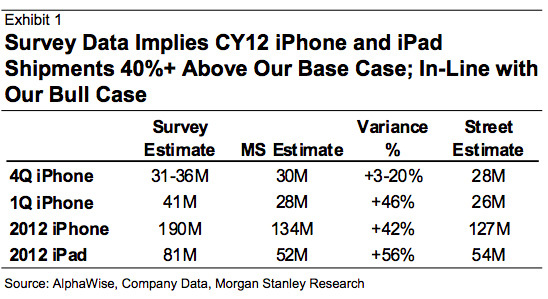 For the first quarter of next year, “US consumers expect to buy more iPhones in C1Q12 than C4Q11,” says Huberty. 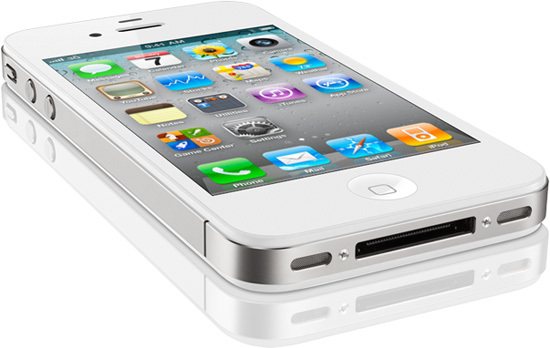 Over 41 million iPhones are expected to sell in the first quarter of 2012. Huberty also points out that with a price cut of $100 on the iPad, that could lead to sales of 90 million units worldwide, which is 10 million more than what Apple is rumored to have asked suppliers to build.